This book explores new concepts that are not widely known. I decided to share this proactive discovery 1440TIME™ and The 1440 Power System® with everyone, but it will greatly impact those who are self-driven and looking to raise-the-bar even higher. I did not “invent” the concept of a new time clock. Instead, I took an “old time” concept in place for thousands of years and upgraded the speed for modern times. 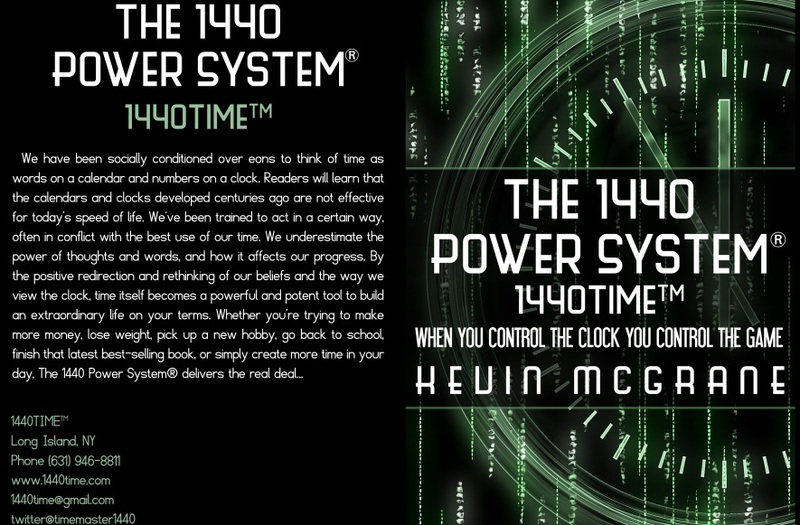 My desire to “be better” and to strive for more has lead me to transform the old “standard” view of time into the new dynamic and powerful 21st concept called 1440TIME™ and the connector--The1440 Power System®. When applied correctly, it will change the way you see, experience, and value time forever. 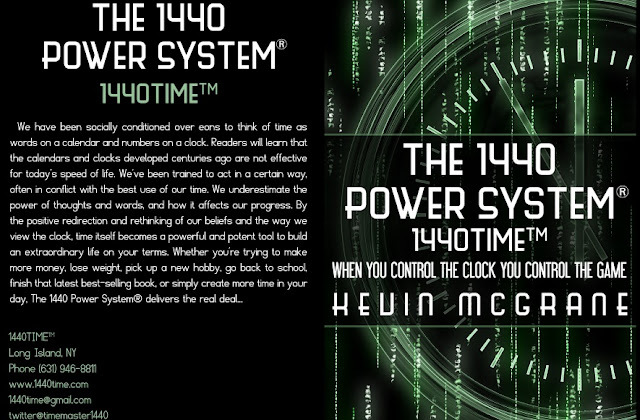 It is with great pleasure that I present to you The 1440 Power System®/1440TIME™ book. Its secret blend of ingredients will activate and optimize your life; enabling time to flow seamlessly and naturally, as the past, present and future collide to form the only time that matters—this moment right now. The now is all we have, and even though it seems easy to say and think, it is much harder to stay in the now consistently. Since many people spend so much time “thinking” of the “past” and the “future”, are they living and taking in all that the now offers? The 1440 Power System® was created to help anyone become present, stay present and live in presence, by using a simple but ingenious strategy for even the most unconscious of minds to reconcile. 1440 TIME™ is the cornerstone of this 21st-century principle, utilizing a patent 1440 Minute Countdown Clock as the instrument to activate time awareness, which in turn enables anyone to get present anytime, anywhere at-a-glance. As found in The Time Factor book, the ancient standard clock has been exposed for what it is, an outdated modus operandi for those times still being used for our times! 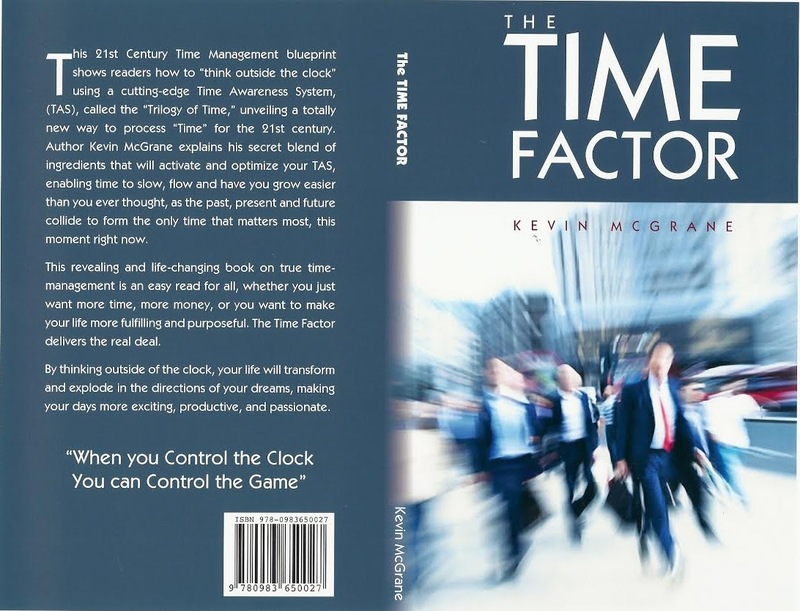 And because of this erroneous subconscious program, many suffer from Times Fault Syndrome™ (TFS) and other time-related stress disorders, affecting lives emotionally, and their productivity. In addition to those, a subtle, yet maybe the most important one is, “people feel as though time is moving faster and faster as they age!” Who doesn’t think that—except for kids under twenty-five or maybe Bernie Madoff?